An electrician from the local power company visits a classroom to demonstrate how houses get electricity. 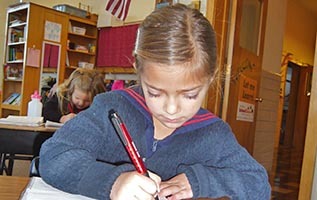 Instruction in Social Studies and the Sciences begins with hands-on learning. 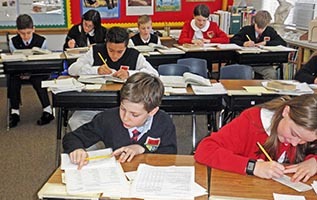 Key vocabulary is introduced. Field trip experiences and resource persons are critical elements in providing concrete and vicarious learning experiences for the students. 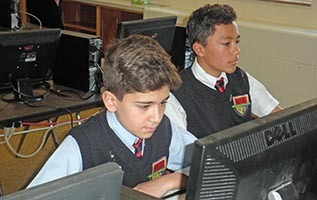 In addition to the regular science program, students participate in science laboratory activities as early as kindergarten. 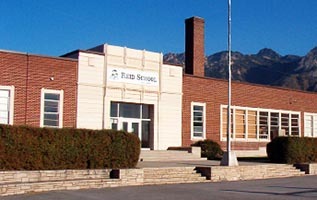 Students learn research skills and presentation strategies as early as six years old with the Native American presentations, a year or two later with County Fair studies, then State Fair studies, and finally World Fair studies. The quality of the student presentations, their research, and their displays in the World Fairs and Science Fairs are judged. 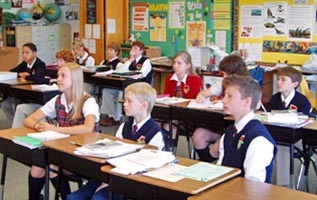 All elementary students participate in Science Days each year, and Middle School students participate in Science Fairs. 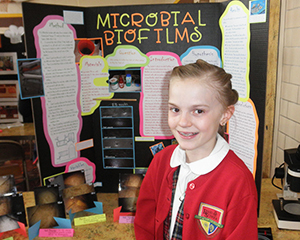 State winner science project on Microbial Biofilms. 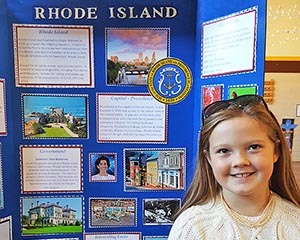 State Fair presentation on Rhode Island. © April 21, 2019; 1:11am MDT – All Rights Reserved.